The Infectious Diseases Society of America (IDSA) issued a statement this week indicating it does not support mandatory involuntary quarantine of asymptomatic healthcare workers returning from Ebola-affected areas. “This approach carries unintended negative consequences without significant additional benefits,” states the organization. IDSA represents over 9,000 physicians, scientists and other health care professionals who specialize in infectious diseases. IDSA’s purpose is to improve the health of individuals, communities, and society by promoting excellence in patient care, education, research, public health, and prevention relating to infectious diseases. 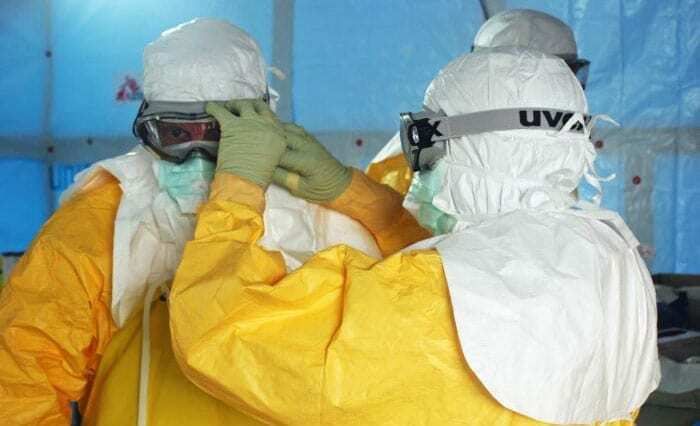 The organization emphasized that controlling the Ebola outbreak at its source in West Africa is the most important way to end this ongoing humanitarian disaster and the corresponding threat of spread of Ebola to the US and other countries. “Strategies to limit the potential for EVD transmission from returning healthcare and humanitarian aid workers as well as from other travelers should be based on the best available medical, scientific and epidemiological evidence; be proportional to the risk; balance the rights of individuals and the community; minimize unintended negative consequences; and minimize unnecessary use of limited resources,” states IDSA. Active monitoring by public health authorities of persons who have recently been to Ebola-affected countries for the 21-day Ebola virus incubation period with prompt identification, isolation, and medical evaluation of all persons who develop symptoms is an effective strategy to limit transmission. Systems are in place to ensure prompt identification and isolation of all symptomatic persons at risk for EVD through both exit screening in Ebola-affected countries and comprehensive arrival screening of all persons traveling to the US from Ebola-affected countries. Asymptomatic persons are not known to represent a risk for EVD transmission. Transmission of EVD requires contact with the bodily fluids or blood of an ill person. Community contacts of a newly symptomatic EVD case are very unlikely to be at risk for EVD transmission. Because the transmission of EVD requires bodily fluid or blood contact, mandatory quarantine of asymptomatic healthcare workers who are expected to comply with active health monitoring by public health authorities provides no substantiated benefit and little, if any, theoretical benefit. Mandatory quarantine may also adversely impact the ability of US healthcare workers to participate in the care of suspected and confirmed Ebola patients. Mandatory quarantine may have the negative, unintended consequence of limiting the medical response in West Africa to EVD supported by national policy and humanitarian aid agencies. This medical response is critical to provide ongoing support for outbreak control activities in West Africa where medical support is desperately needed. Further, mandatory involuntary quarantine requirements may decrease the willingness of US healthcare workers to participate in the evaluation and care of persons with suspected and confirmed EVD both abroad and in the US. Quarantine authority remains an important option that exists at state and local levels and can be invoked as necessary by public health authorities for high-risk circumstances. Policies on quarantine can be revised as necessary in response to new information. Following release of the statement from IDSA, the Pediatric Infectious Diseases Society (PIDS) endorsed the statement. PIDS is the world’s largest organization of professionals dedicated to the treatment, control and eradication of infectious diseases affecting children. The American College of Physicians also released a similar statement this week, calling on states to act with constraint and promote the least restrictive measures on clinicians treating Ebola patients as supported by scientific evidence to control the spread of Ebola, reflecting recommendations from the Centers for Disease Control and Prevention, Doctors Without Borders, professional associations, and other experts on the most effective infection control recommendations for health professionals involved in care of patients with Ebola.